A backbone vector was designed for assembling gene targeting constructs using the recombineering approach and the Cre-lox system. 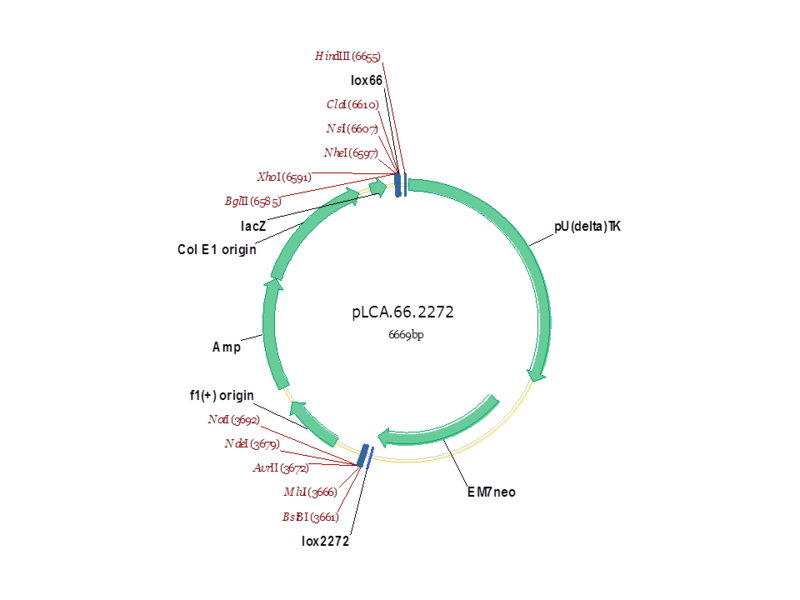 The vector contains a puromycin-Dthymidine kinase fusion gene driven by the mouse phosphoglycerol kinase promoter (pUDTK) and a neomycin resistant gene driven by the bacterial EM7 promoter (EM7neo). These selectable markers are flanked by minimal (34 bp) lox66 and lox2272 sites (Cre-recombinase recognition sequences) in a pBluescript KS+ backbone with a modified multi-cloning region.